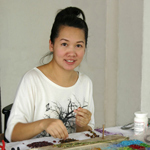 Sirada handcrafts a lovely green necklace that exudes natural elegance. 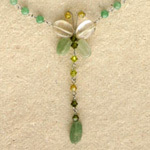 She magically transforms quartzite, quartz and glass into a fluttering butterfly. 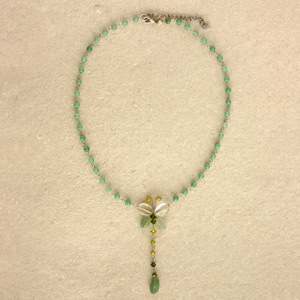 The necklace closes with a lobster claw clasp and features an extender chain to adjust the length. Materials: Dyed quartzite, quartz, glass and stainless steel.